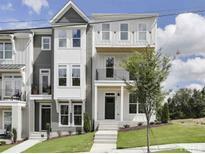 Below you can view all the townhomes for sale in the Oakwood subdivision located in Raleigh North Carolina. Listings in Oakwood are updated daily from data we receive from the Raleigh multiple listing service. 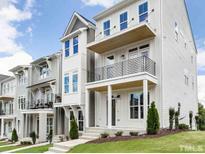 To learn more about any of these townhomes or to receive custom notifications when a new property is listed for sale in Oakwood, give us a call at 919-928-5027. Very close proximity to downtown, restaurants, nightlife, shops and parks. LOCATION, LOCATION, LOCATION! MLS#2246351. 5019. Pre-sale entered for comps. MLS#2224528. 2956. Elongated fireplace with floating shelves and built-ins. MLS#2222320. 2956. Upgraded engineered hardwoods in main living areas and study. Unbeatable location! MLS#2222297. 2956. Sliding glass doors lead to outdoor space on the second level. Location, location! MLS#2222308. 2956. Custom built ins with floating shelves. Under Construction! 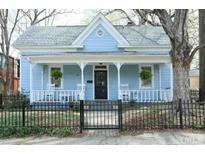 MLS#2221799. 2956. Engineered hardwoods throughout main living areas & first level bedroom. Under Construction! MLS#2221812. 2956. Open floor plan great for entertaining! MLS#2211204. 2956. Basement inclds study w/ french glass doors, 1/2 bath & spacious garage. Designer upgrades and selections throughout! MLS#2211143. 2956. Wide plank engineered flooring, contemporary dark interior doors, and much more! MLS#2211149. 2956.